Yeah, I took liberties with this post's title. 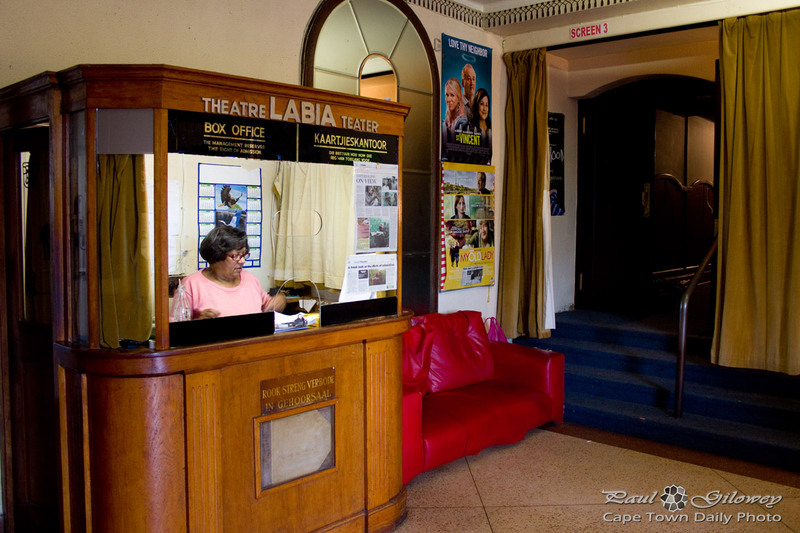 The Labia is in fact a small independent cinema - and a member of the European Cinema Network. We'd never visited The Labia before, so we decided to give her a try. While it's decor is looking a little on the tattered side, and the amenities are a little better than the delightful French public amenities, the actual theaters are clean, intimate, and the sound/video quality is just fine. I don't think they have the full Dolby surround sound with mega bass that you get at the regular cinemas, but then, that's not what one goes to The Labia for - one goes for the quaint, out of the ordinary experience, and to see movies that are slightly off the beaten track. In this case we saw My Old Lady (which was a great movie), and we'll certainly be back to watch a few more! Posted in General and tagged outtings on Tuesday, 2 December, 2014 by Paul.